Band springs are parts with various shapes; usually they have holes and shearings for technical and functional needs. The processing is done by press-molding equipment with specific machines that ensure maximum levels of quality and productivity. 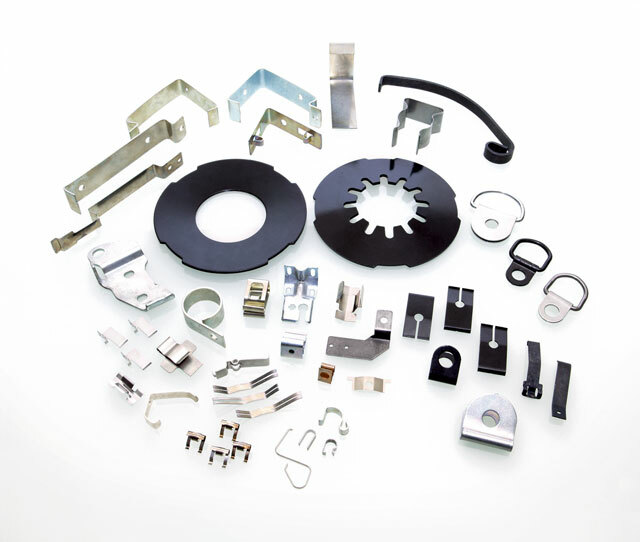 Among the complementary press-molding products we have accessories for plasterboards, we can produce particulars with every form, dimension and kind of material. 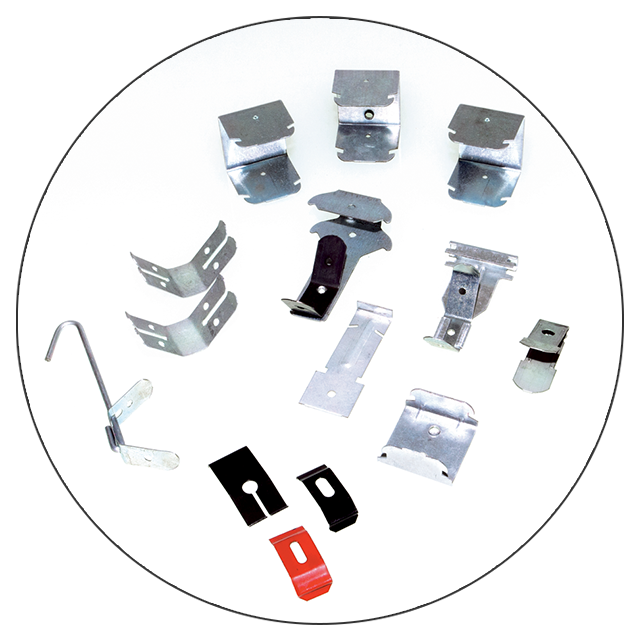 Included in this category of products we have bushes, spacers that are obtained from a metal strip by simple and progressive molds. 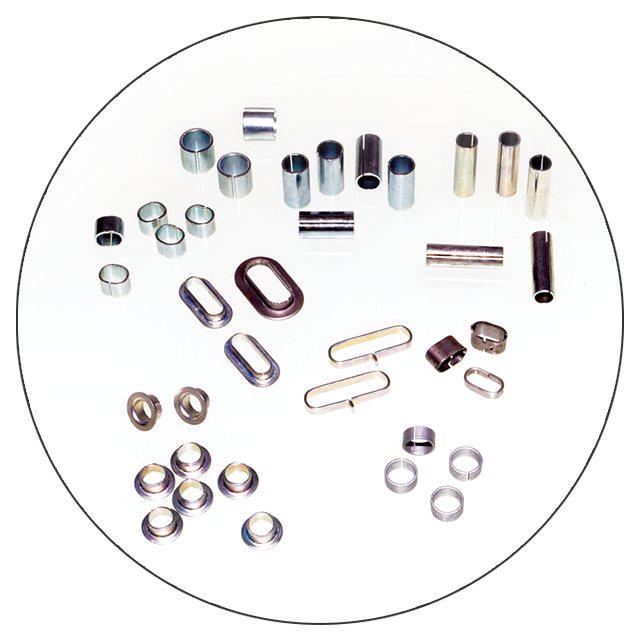 They can be round, oval, square, according to the technical specifications of the customer. *according to the type of item and strip dimensions.